ONI Bureau: While addressing at the 56th Annual Convocation of IIT Bombay on Saturday, Prime Minister Narendra Modi announced a financial aid of Rs 1,000 crore to the Indian Institute of Technology (IIT) Bombay. 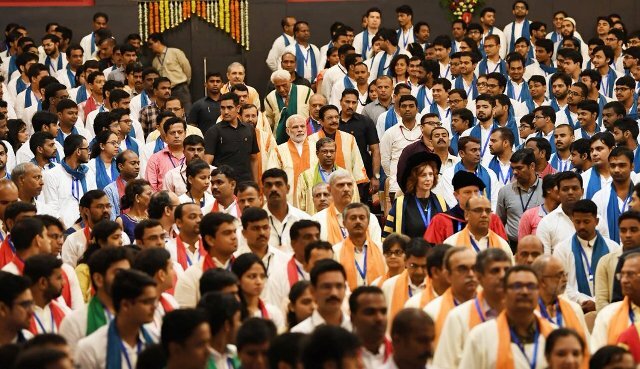 Speaking at the convocation ceremony of IIT Bombay, the Prime Minister said, “The Nation is proud of the IITs & what IIT graduates have achieved. The success of IITs led to the creation of engineering colleges around the country. They were inspired by the IITs and this led to India becoming one of the world’s largest pools of technical manpower”. Let us affirm that the best ideas will come from Indian laboratories and from Indian students, Modi added. “My appeal to youngsters is – Innovate in India, Innovate for humanity, from mitigating climate change to ensuring better agricultural productivity, from cleaner energy to water conservation, from combating malnutrition to effective waste management,” Modi said.